If you're feeling like you need a new tee to dust the dirt off of, try this one. We all know that greatness is more than shoe-deep. 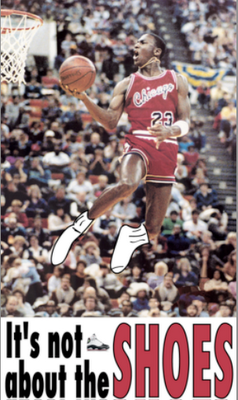 With this in mind, our first tee features MJ throwing down in nothing more than his socks. 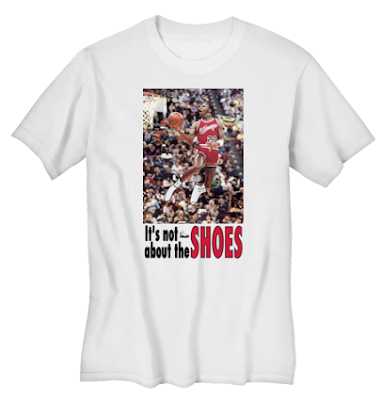 While it is true that the socks might be Hanes made, and might also have been given to Mike by Cuba Gooding, this shirt'll let kids know that it's not about their shoes, it's their game that matters.